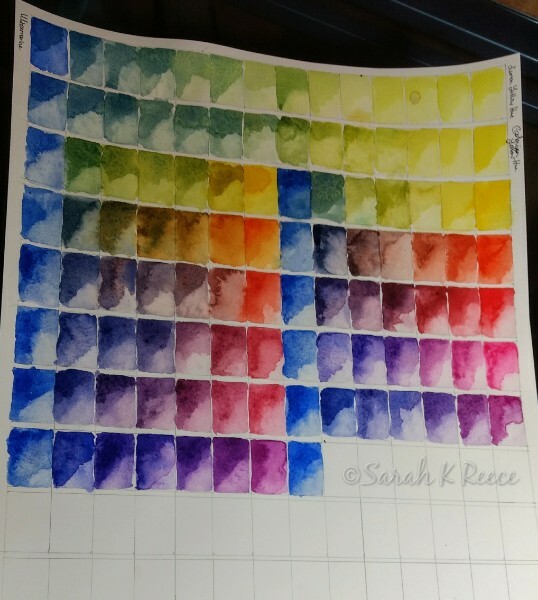 I have a new lovely set of watercolour paints, and I’m creating a number of charts to learn how the colours handle and mix. 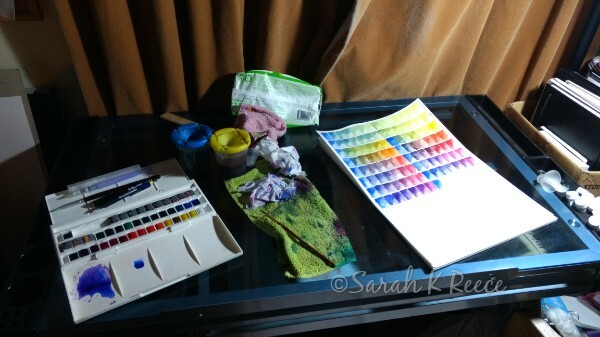 This one is Ultramarine Blue, being mixed with every other color in the set of 45. I prefer inks to watercolours, they are even less forgiving and more vibrant, but it’s still a medium I enjoy. I took a class recently and painted some chickens. The light to dark sequence of paint application was a bit mind bending after doing so much oil painting which is often the reverse, but pushing the limits of my technical skills is great fun. There’s something quite joyful and meditative about colour charts.